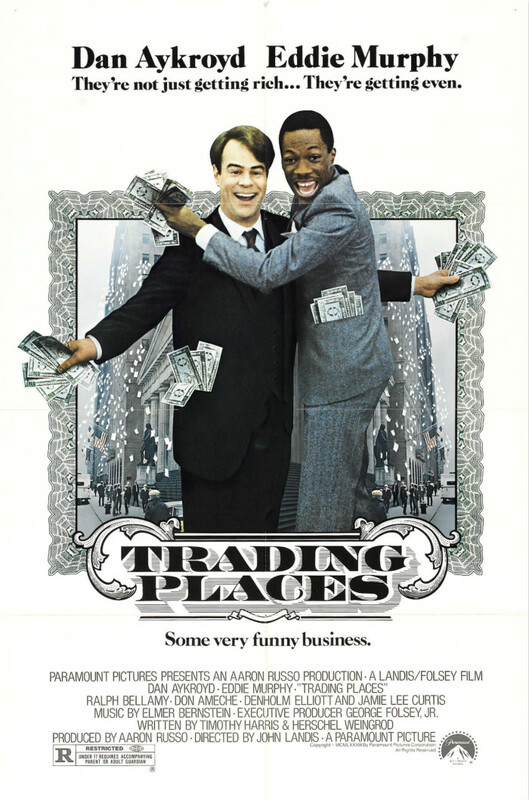 Trading Places is a 1983 American comedy film directed by John Landis. It tells the story of an upper-class commodities broker and a homeless street hustler whose lives cross paths when they are unknowingly made part of an elaborate bet. The closest font we can find for the film title is Domaine Display Black designed by Kris Sowersby from New Zealand. Other similar fonts you can check out are Sahara Bodoni designed by Bob Alonso and Mastadoni designed by Dave Rowland.